There are times when grief and sadness come to visit every life. At those times, it is important to feel the full measure of the grief and sadness that is there to feel so that it can move through us, but it is important not to stay there. All lives share both thorns and flowers, and it can be easy to become so focused on the thorns—the challenges, trials, stresses, and pains of life—that we lose sight of the flowers blooming all around us. 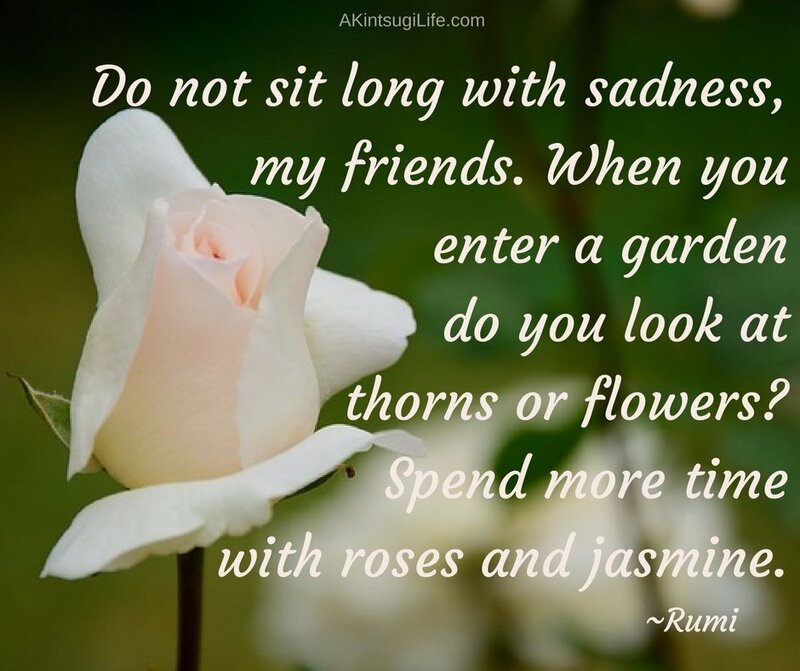 When make time to appreciate the flowers, we open ourselves to joy even in the midst of life’s thorns.